Spring is an exciting time for food and tradition and a great opportunity to make new, delicious and easy recipes for your family. It's a perfect chance to start incorporating all the seasonal fresh produce coming into supermarkets and farmer's markets in the warmer months ahead. 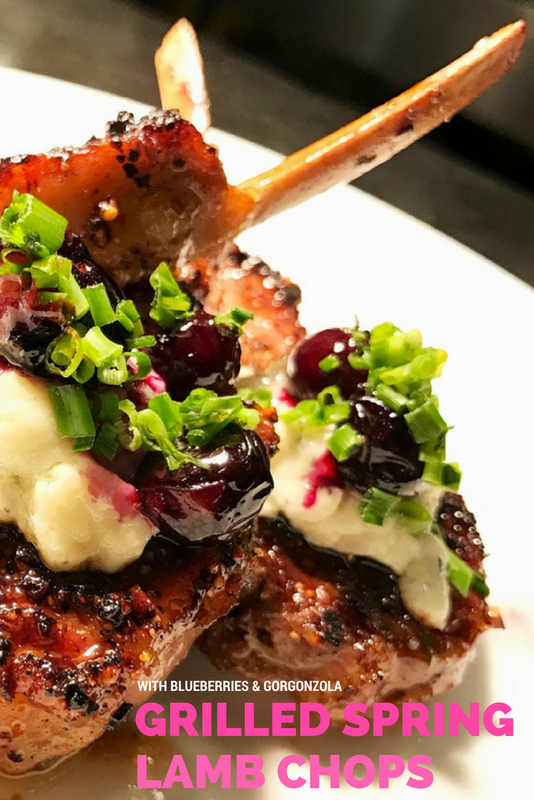 Today, Miami Chef Adrianne Calvo shares a vibrant and flavorful recipe with MBE readers to transform plain lamb chops into an extraordinary and unforgettable meal that surprisingly simple to prepare at home. 1. Preheat the grill to high, brush grill with canola oil to prevent sticking. 2. Combine Montreal Steak Seasoning and brown sugar in small mixing bowl. 3. On a clean work surface lay out lamb chops and season generously with mixture. 4. Place on grill and cook 2-3 minutes on each side. 5. Meanwhile, preheat an electric fryer to 375 degrees F. (or a small pot with canola oil to medium high heat). 6. Flash fry the blueberries until the skin starts to break. Seat aside. 8. 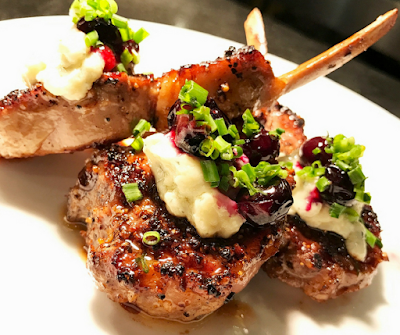 To plate, place lamb chops on center of plate, spoon melted gorgonzola on each chop, add fried blueberries and garnish with minced chives. 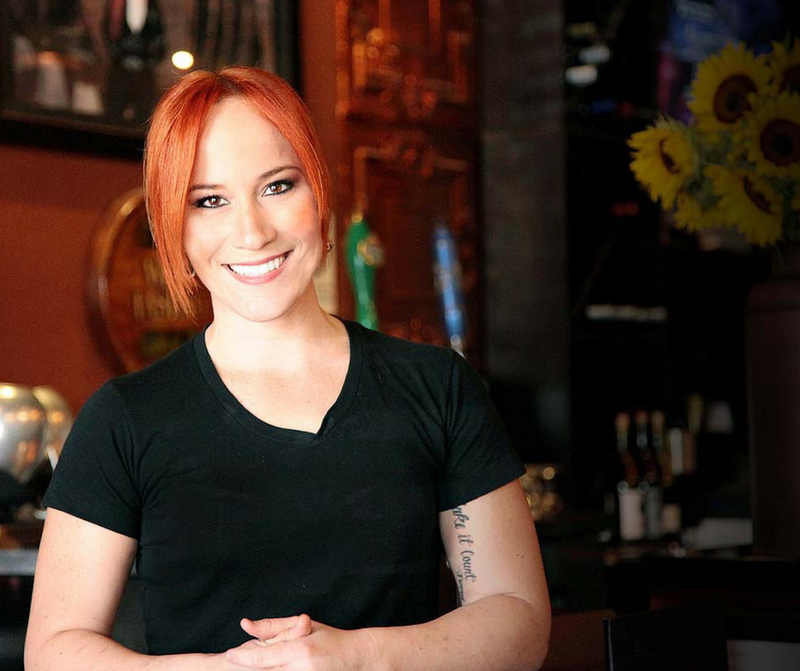 Adrianne Calvo is the executive chef and owner of Chef Adrianne's Vineyard Restaurant and Wine Bar in Miami. She has appeared on television and is the author of four cookbooks. Monthly, the restaurant holds its signature event, Dark Dining, where guests are blindfolded for a sensual experience eliminating one sense in order to enhance another providing maximum flavor. For more information visit her restaurant website as well as follow her @ChefAdrianne on Twitter, Instagram and Facebook. FTC Disclosure: Recipe and images provided by Chef Adrianne. See complete FTC Disclosure information that appears at the bottom of MommyBlogExpert's home page and at the bottom of every individual post on this blog, including this one. That looks interesting. I would like to try it. I think the blueberries threw me there for a moment, but after I think about it, it sounds pretty good. That looks SOOO good! I would love to make something like this! Do you deliver? I am totally drooling! This looks super delicious! I have never made anything like this before but I would love to see if I can make it turn out well. This recipe looks amazing. I will have to get the ingredients I need to make it for dinner this weekend. Oh my This looks so delicious my mouth is watering. I am excited to give this recipe a try. This looks so fresh and yummy! I love the sweet and savory flavors it possesses. Grilling season is upon us! YUM! Wow this looks incredible!! I'd never attempt anything like this but you make it look easy, and delicious! Oh my gosh that looks fantastic and so delicously different.I would love to try this. I had lamb for the very first time not that long ago and it was really good! This looks amazzzzzzing! Yum. This looks very tasty. I've never tried cooking lamb before at home. So going to try this one!